Landis+Gyr RCR ripple control receiver supports a lean and cost-effective functional concept for basic receiver requirements. Outstanding features are the seven-day time switch for easing transmitter load and the learning function for autonomous switching operation in case of transmitter outage. The combination of ripple control and seven-day time switch functions in one unit ensures a reliable operation of the ripple control installation. 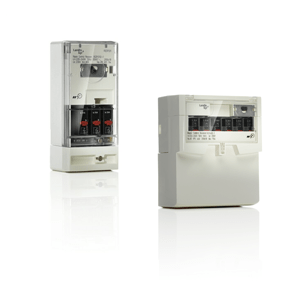 Depending on the device type up to six change-over switches (25 A) or 40 A relays can be plugged-in and individually parameterized via interpreter programs.